Dr Simon Chard BDS(Hons) BSc(Hons) qualified with Honours from King’s College London Dental Institute in 2012. 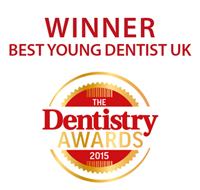 In 2015 he was voted the Best Young Dentist in London and also the overall Best Young Dentist in the UK at the prestigious Dentistry Awards. Simon is very passionate about providing beautiful, healthy smiles for his patients and is a big promoter of using digital technology to simplify cosmetic and implant dentistry. Further to this Simon is a director of the British Academy of Cosmetic Dentistry, helping to shape the future of cosmetic dentistry in the UK. 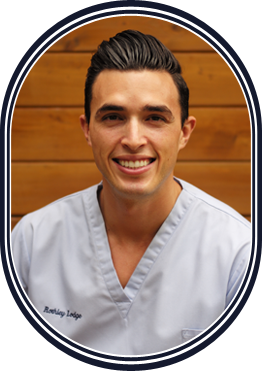 Dental education is something that is a major part of Simon’s professional career and he has dedicated thousands of hours to advanced training from the best dentist’s around the world. Further to this Simon regularly teaches other dentists in the topics of digital dentistry, dental photography and minimally invasive aesthetic dental techniques. Simon comes from generations of dentists and works in private and mixed practice in London and Surrey.